Indonesian police Friday urged Islamists leading opposition to Jakarta's Christian governor to ensure a mass prayer rally remains peaceful when it takes place just days before the capital's hard-fought elections. Thousands of Islamic hardliners are expected to congregate at a major Jakarta mosque on Saturday for the group prayer. 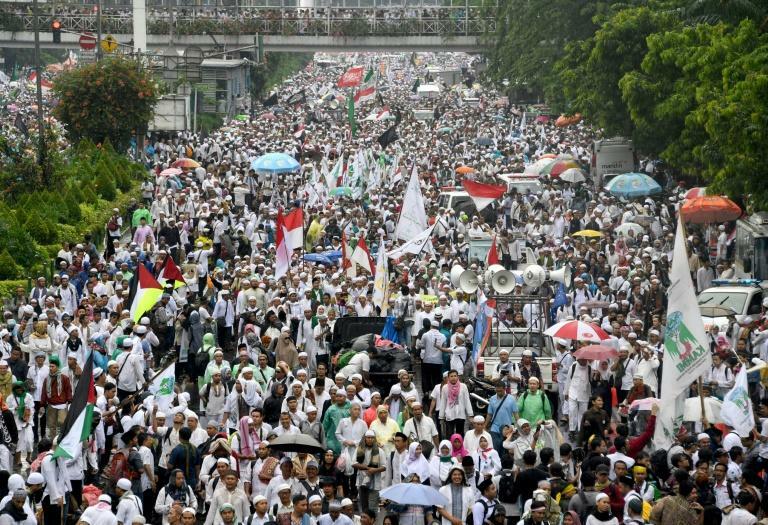 But authorities fear a repeat of the huge demonstrations of conservative Muslims seen last year against governor Basuki Tjahaja Purnama, who is on trial for allegedly insulting Islam over comments he made on the campaign trail. The prayer rally coincides with the final day of campaigning for next Wednesday's elections in the capital of the world's most populous Muslim-majority country, where Purnama is competing against two prominent Muslim candidates. National police chief Tito Karnavian said the Islamists had to limit their activities to worshipping around the mosque and could not march through the city. Police refused an initial request by the Islamists to hold a rally. "There will only be worshipping," he told a press conference. If the Islamists attempt to march through the city, "the police supported by the military will take firm action," he said. More than 20,000 police officers will be deployed to keep the peace, Karnavian said. Purnama, also a member of Indonesia's ethnic Chinese minority, won popularity for his no-nonsense style and determination to clean up Jakarta. But he has seen a once unassailable poll lead whittled away after being hauled into court for a blasphemy trial that critics view as unfair and politically motivated. The allegations against him centre on comments he made about a Koranic verse. He accused his opponents of using the verse, which some interpret as meaning Muslims should only support Muslim leaders, to trick people into voting against him. The protest movement against him, which has been spearheaded by Islamic hardliners, and court case have sparked concerns about growing religious intolerance in a country long considered a bastion of pluralism.